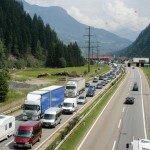 As summer approaches Switzerland’s high mountain passes open to drivers after spending the winter buried in deep snow. 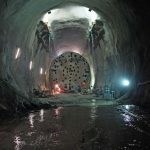 The Saint Gotthard pass, which connects the German-speaking Swiss canton of Uri with the Italian-speaking Swiss canton of Ticino, will open today. The pass, sitting at 2,106 metres above sea level, lies above the Saint Gotthard road and train tunnels, which form one of Europe’s most important transport routes, linking Italy’s industrial north with northern Europe. 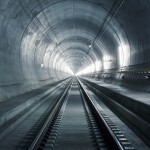 On 1 June 2016, the new Gotthard Base Tunnel will open. The tunnel runs an impressive 57 kms underground. It is the world’s longest train tunnel, longer than the Channel Tunnel and the Seikan Tunnel in Japan, which links the Japanese islands of Honshu and Hokaido. The pass is named after the Roman Catholic bishop, Saint Gotthard of Hildescheim, who lived from 960 until 1038. Gotthard is the patron saint of travelling merchants.